Looking for a book for your middle school aged child to read this summer? 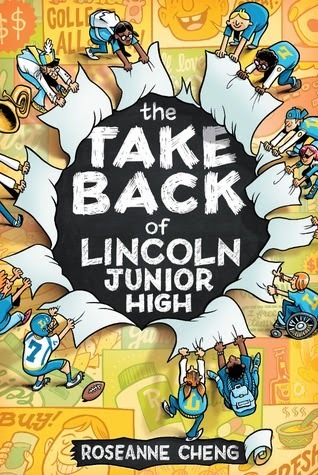 THE TAKE BACK OF LINCOLN JUNIOR HIGH would be an excellent choice. This book fits the category of “Teachable Lit” and would give you and your child an opportunity to discuss financial implications of keeping schools open and offering all the opportunities that parents and kids want in their educational experience. THE TAKE BACK OF LINCOLN JUNIOR HIGH covers a topic that hits close to home for many school districts. Funding for many schools (including ours) is decreasing as well as the number of students attending. This also results in less funding because the amount of state and federal dollars is based on the number of students in your school. So, cuts have to be made and teachers may lose their jobs. This book hits on the topic of saving our schools and the programs we love. Andrew is a new student at Lincoln Junior High, entering the sixth grade. He isn’t a popular kid and feels left out most of the time but wants desperately to “fit in” in middle school. The first day of school begins with an announcement from Principal Raasch announcing the “Take Back” program and their sponsor Whistler Farms. Whistler Farms proposes to supply the school with money to bring their football program back including a new stadium, scoreboard, and uniforms. All the school has to do is allow the Whistler Farms name to be displayed…..everywhere…. and allow their products to be at school. Seems harmless until another company offers to sponsor the music program, another offers to bring back the drama department, and yet another gives every student their very own tablet. Pretty soon the school is overrun with ads, product placement, and pressure to secure the best spot for their sponsor money. Principal Raasch ends up spending more time dealing with the sponsors and their demands rather than running the school. Parent groups begin to form, both for and against the Take Back program. Teachers become frustrated with the demands of the sponsors and somehow the education of the kids gets lost in the shuffle. But, even in the mess, Andrew and his friends come up with a plan to save their school from falling apart. The problem is, it just might get them in the biggest trouble of their lives. I really, really liked this book, written for middle grade on up. It really hit home since our school, as well as others in the area, are having to make tough choices about how we are going to spend our money. There are some serious budget cuts in our future and no one wants to see those cuts happen. This story was a great example of how corporations can get involved, but without clear boundaries, a school district could be in worse trouble than when you started. I think this is a great book for kids because it touches on many great discussable topics: advertising, integrity, school pride, respect, and values. This is definitely a book I will be having our kids read and asking them their thoughts. It will make you stop and think about what is really important in a school environment. It will also remind readers that sometimes you need to step up and be a leader. The book ends with a Study Guide over each chapter of the book. This would make for a great classroom read and discussion. Each chapter of the study guide includes questions for discussion, writing or group assignments and activities, and a vocabulary list. I can’t imagine any school that wouldn’t benefit from reading and discussing this book. I think it is easy for parents to get swept up in the excitement of school activities without giving a thought to all it takes to run those programs. This book will also open parent’s eyes to all the pieces needed to having programs such as sports, music, drama, journalism, and dances at your child’s school and the need for physical, as well as monetary support. Financing for school programs isn’t going to get any easier down the road and this book will open your eyes to the positives and negatives of opening your school up to corporate sponsors. It may not be all it’s cracked up to be. Roseanne Cheng is a high school English teacher, turned author, dedicated to writing and reviewing young adult literature that provides more than just entertainment. 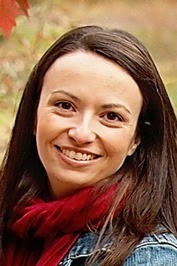 With her brand, TeachableLit.com, she champions meaningful, educational and wholesome reading for teens that can be used as learning tools, both inside the classroom and out. A native of the San Francisco Bay Area and a lover of Shakespeare, Roseanne now lives in Edina, outside of Minneapolis, with her husband and two young children. For more on Roseanne, visit her website, HERE. You can also find Roseanne on Facebook, HERE, and Twitter, HERE. 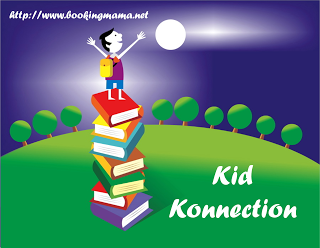 I will be linking up with other children’s book reviews at Booking Mama’s Kid Konnection. To see other great children’s books, check out her linky every Saturday. Thanks to the author for sending me a copy of her book for review. This review is my honest opinion. I was not compensated in any way for this review. If you choose to purchase the book through the above link, I may receive a small commission without you having to pay a cent more for your purchase. Thanks for supporting SincerelyStacie.com reviews. I wonder if my son would like this. If the plot is good and has funny moments I think he might like it. I bet this is terrific. Since a teacher wrote it, I wonder if some of it is based on her experiences.